The Port of Tyne in North East England is pleased to announce the appointment of Matt Beeton as Chief Executive Officer with effect from 7 January. 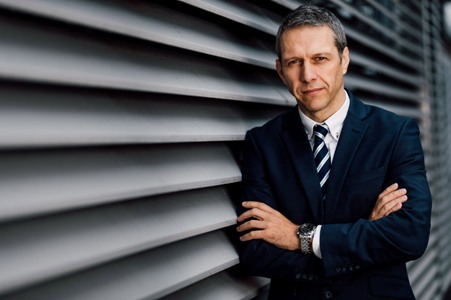 He brings a breadth of experience in the transport industry with a career spanning over 20 years within the road, rail and aerospace industries, having held director positions at Rolls Royce, Bombardier, Serco plc, Northern Rail and National Express. Matt joins the Port from APT Business Solutions a transport consultancy which has provided advice and support to organisations including Transport for the North and Transport for Greater Manchester. His early career began with a graduate programme at Rolls Royce Aerospace. Since then Matt has gained extensive experience in transforming business strategy, driving efficiency through smart technology and inspiring leadership - including increasing customer satisfaction and safety performance. Matt, said: “I am delighted to be joining the Port and for the opportunity to work with the team in growing the business and delivering on the vision to double the value by 2022. Originally from Nottingham, Matt is a passionate advocate of inspiring strong leadership, regularly attending and speaking at TEDx events around the world.